Bizzy Jean Box is 4 months old! Our little mini has grown into a big healthy girl – 90% weight and height – and she is definitely living up to her name (even at night). She “talks” up a storm and has a belly laugh that makes her dimpled round face even cuter. Carrie and Seash created beautiful custom watercolor birth announcement cards for Miss Biz, and we just dropped them in the mail. 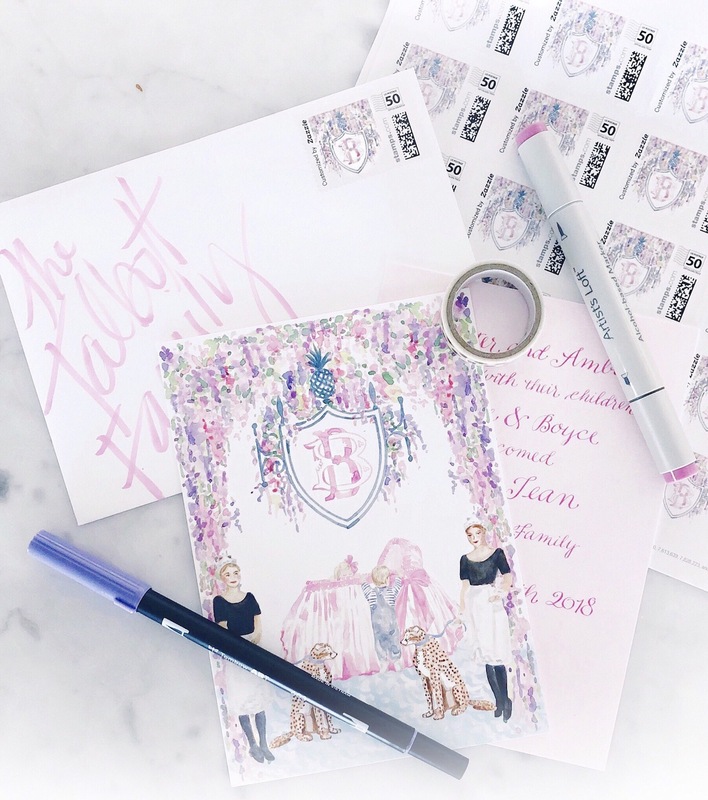 We used the custom monogram they made to create custom stamps to make the front of the envelope more thoughtful. I have really loved having watercolor paintings of the kids each year from this talented mother and daughter duo.